Traveling the world can give you a wide variety of unique experiences. While many of these experiences can come home with you only in the form of memories and photographs, there are some experiences that you can recreate from the comfort of your home. Food and drinks from around the world can be an excellent way to relive past adventures or have a mini adventure right at home. We’ve gathered up 5 of the best cocktails from around the world that you can enjoy no matter where you are. 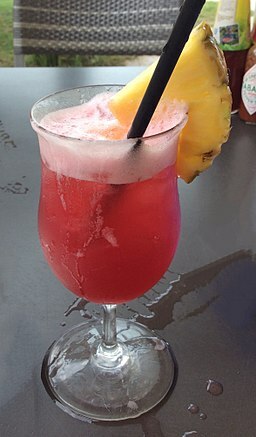 The Singapore Sling is a gin and cherry mixed drink that was invented in the early 1900s at the Raffles Hotel in Singapore. The exact original recipe is lost to time, but is generally agreed to be comprised of gin, cherry liqueur, and orange, pineapple, and lime juices. The modern recipe varies at various venues across Singapore, but the standard ingredients of gin, cherry liqeur, and pineapple juice always stay the same. If you want to try your hand at it, the official recipe from the International Bartenders Association is below. Combine all ingredients and mix with ice. Strain and serve straight up in a highball or hurricane glass. Garnish with cherry and pineapple.